Weekend in Copenhagen, things to do in 48 hours in Copenhagen. Surrounded by water and dominated by stylish people, Copenhagen is a multicultural centre, easy to reach by air, sea or land. We visited this dynamic metropolis on a spontaneous weekend getaway. Booked our tickets and flew from Edinburgh airport, only a 90 minutes flight, not bad for a Friday night eh? -Take the tube and pop in the Tivoli Gardens, a must-see if you are in the city. It is the oldest amusement park in Europe and has so much to offer for all tastes and ages. 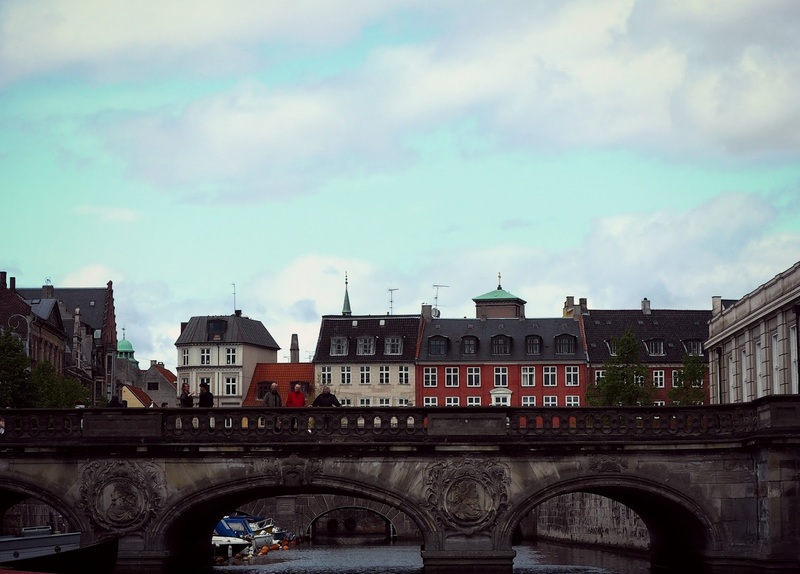 -Walk through the Vindebrogade to Nyhavn, the most photographed area of Copenhagen! This picturesque harbour with old sailing ships bobbing on the canal waters and colourful buildings the one next to each other is the most visited tourist attraction and it is as visited as Strøget, and Amalienborg Palace! There are various canal excursions offered here (we took the Stromma tours), and also loads of bars and restaurants to spend some time simply sitting by the canal and chatting over some beers. -Visit the Round Tower and have a look at the spectacular view of the city. 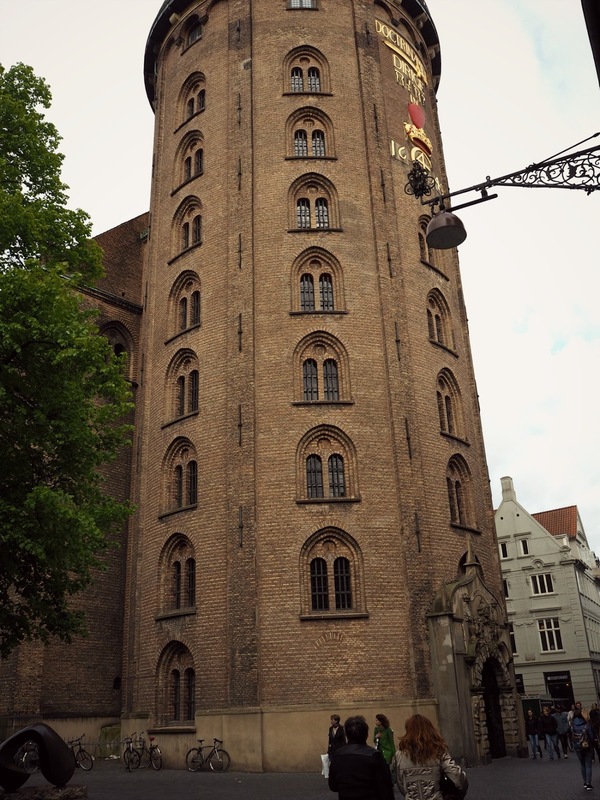 It is located in the Købmagergade; a 20 min walk from the Town Hall Square and it is totally worth it! -Eat at the Torvehallerne! Copenhagen is famous for the good quality, fresh and organic food, you can get a fresh salad pretty much everywhere! Torvehallerne is located in the middle of the canal (in between Nyhavn and the Freetown Christiania) and it is a spectacular place to sit and enjoy food on a sunny day! It is open all year around and the stalls offer international food, groceries, local bakery delicacies and coffee. -Spend an afternoon at the Freetown Christiania. This is a self-proclaimed autonomous neighborhood in the Danish capital. This is a green and car free neighborhood, welcoming people from all ages and beliefs. It has some stunning colourful buildings and a mix of galleries, cheap and organic eateries and beautiful nature. Christiania is completely independent from the Danish government and it has a strong community feeling. Sadly no pictures are allowed, so make sure not to use your camera and follow the rules. -The King’s Gardens or else known as the Rosenborg Garden! 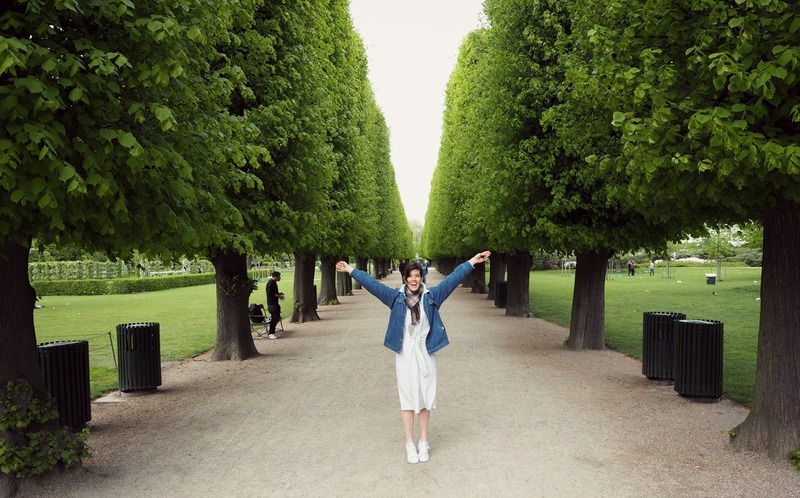 No visit in Copenhagen is complete without visiting at least one of the citie’s parks and gardens. The King’s Gardens are the oldest in the country (established in the early 1600’s) and are home to a rose garden and multiple sculptures. We spent our last afternoon there and loved how peaceful it felt, far away from all the city noises. We had dinners in various restaurants during our long weekend stay in Copenhagen, however I would gladly go back and have one of the divine open sandwiches like the one I had at the Tivoli gardens, Kahler restaurant. It was something I have never tasted before and even the bread itself was spectacular! What you will find in a abundance (and relatively low in cost) is herring! 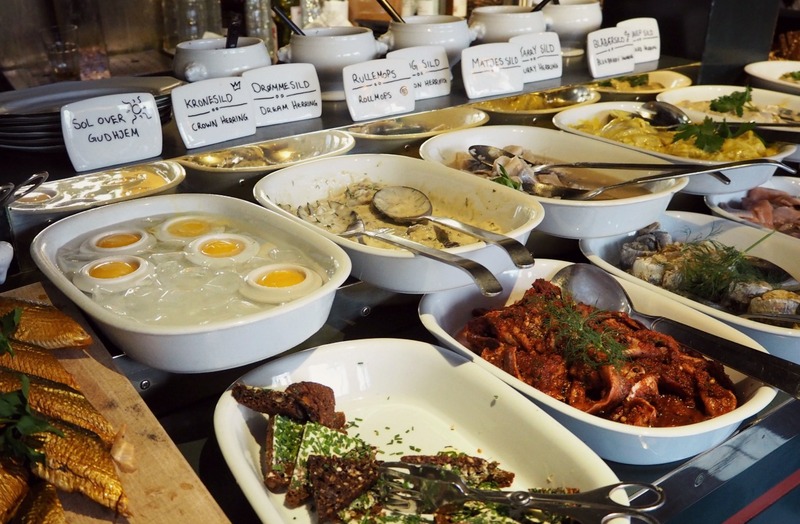 There were so many different dishes around it that made me wonder how much herring can a human eat? Also, pastries, like good, fresh pastries that you have never tasted before in every corner of the city, yum! So here are my tips for unlocking Copenhagen’s streets, attractions and restaurants. Have you ever been in Copnhagen, what did you like the most? Next Post Life lately, in verbs.